Board Chairman of the National Sports Authority, Kwadwo Baah Agyemang has revealed the Black Stars of Ghana will pitch a camp in Qatar to train ahead of their African Cup of Nations campaign in Egypt. According to Kwadwo Baah Agyemang, the move shows how the government of Ghana is enthused about winning the ultimate prize when the tournament kicks off in June. “Black Stars will pitch a one month camping in Doha, Qatar ahead of the AFCON. 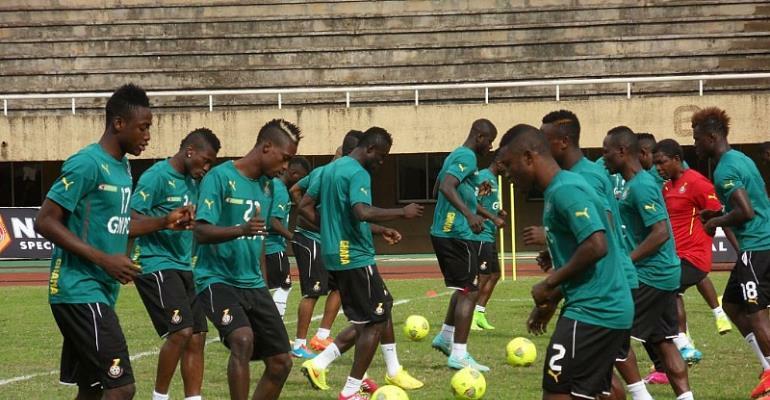 This shows how serious the government is to win the AFCON,” Agyemang told Fox FM. Earlier in March, head coach of the Black Stars, James Kwesi Appiah, toured Qatar to select a perfect training base suitable for his players. The Black Stars, who have lost on two AFCON finals, will try to end the trophy drought as they await the AFCON draw to take place on 12th April in Cairo, Egypt.